Our counterspeech efforts in Hungary have reached over 570,000 people to date. Explore this page to learn about local initiatives, campaigns, and partners in your community. The following universities and organizations in Hungary have participated in the program: The University of Debrecen. This campaign's goal was to raise awareness of the destructive effects of xenophobia and create platforms for Native Hungarians to interact with immigrants who experience xenophobia. 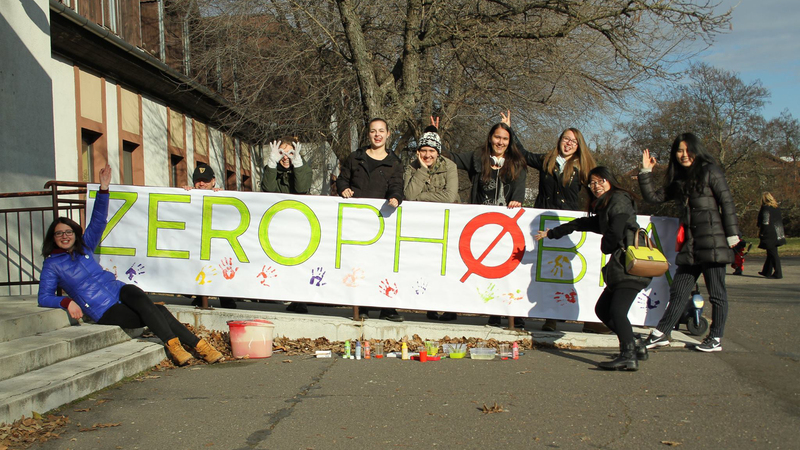 The team behind the campaign worked with international student community groups and others on the university campus to spread the Zerophobia campaign. People were encouraged to share photos and videos of themselves and use the hashtags #zerophobia, #SeeForYourself, and #IAmAZerophobe. The team also organized a potluck, street art gathering, and concert so people in the community could further engage in dialogue. Want to learn more? Check out the Zerophobia Facebook page.